Warhammer 40k Forum Tau Online » Warhammer 40K Armies » General 40K » Golden Dragon Painting Competition 2008 in Malaysia! The top winner is awarded the title Dragon Slayer which is won by our very own Komrad!rSecond place goes to our Gaming Club Manager. And 3rd goes to Komrad as well as our Gaming Club Manager :P Komrad has won 6 categories and our Gaming Club Manager also won 6 categories (mostly by default :shifty other than them, only one of other person won one category. 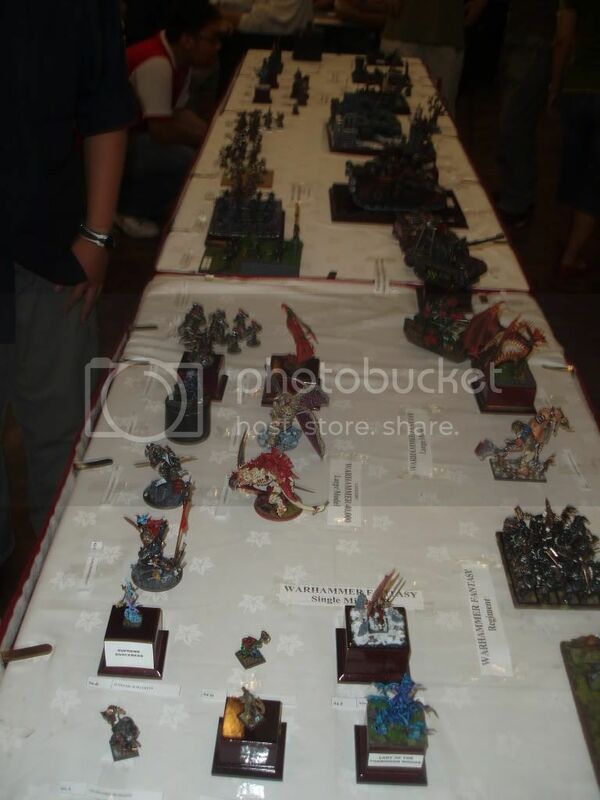 Re: Golden Dragon Painting Competition 2008 in Malaysia! For those who do not, none will suffice." "So this is how liberty dies. To a thunderous applause." 100% of posters have false statistics in their signatures. If you&#39;re one of the 0% that doesn&#39;t, copy and paste this into your sig. Yeap, that won him the entire event and the title "Dragon Slayer"